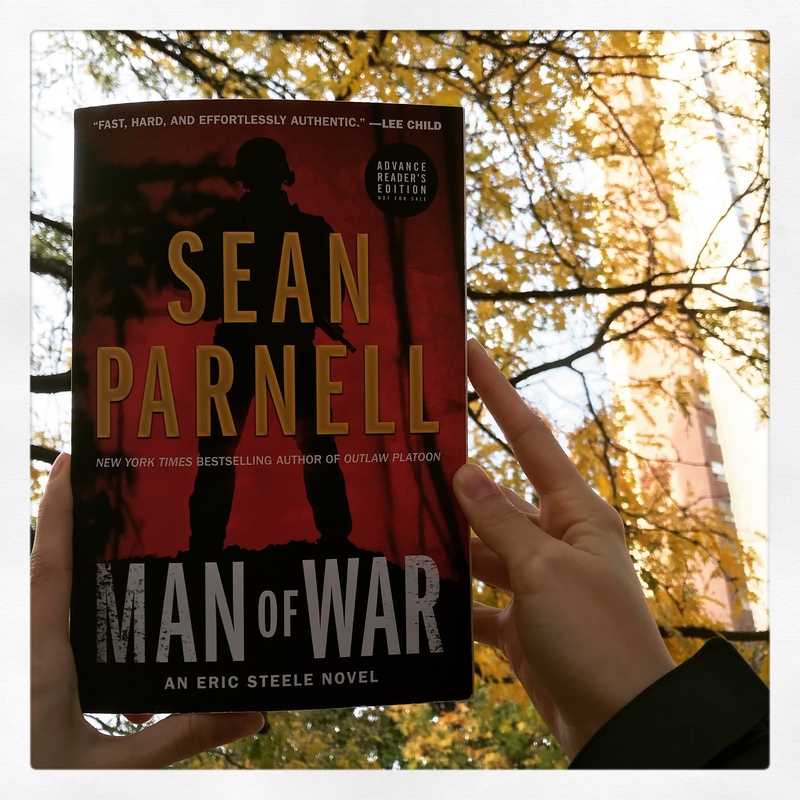 Harper Collins Canada sent me an ARC of Sean Parnell’s debut fiction novel Man of War to review. I enjoy reading thrillers and this one’s blurb sounded a little like the Davis Baldacci novels that I had read. Eric Steele is the best of the best—an Alpha—an elite clandestine operative assigned to a US intelligence unit known simply as the “Program.” A superbly trained Special Forces soldier who served several tours fighting radical Islamic militants in Afghanistan, Steele now operates under the radar, using a deadly combination of espionage and brute strength to root out his enemies and neutralize them. While reading the first chapter, I was reminded of the action movies that my husband loves to watch. The reader is placed immediately into the action – and the movement forward does not stop. As with those action movies that most men enjoy watching, the novel includes scenes which feature guns, others which feature violence, and those which feature the hard side of life. The protagonist, Eric Steele, is described as a true soldier who is loyal to his country. His ability to do unspeakable things is tempered by his morality to help others in need, even at the cost of his own life. Eric Steele is a character that a reader can stand behind and cheer as he moves towards saving the many. Even though I do not read (or watch) many war stories, I did enjoy this thriller. Man of War is more than just a military story. This fast-paced novel that encourages the reader to think ahead and try to work out how the soldier extraordinaire will outwit his enemy. The scenes described were authentic and reflected the knowledge of the author (who is ex-military himself). I recommend this story for those who enjoy fast-paced thrillers and action-filled stories. I give this novel ⭐⭐⭐ 3 stars.